Battered women who kill their abusers would be able to claim self-defence even if the threat of violence was not imminent, under reforms recommended by the Law Commission. Currently self-defence can only be claimed if there is a perceived threat of an imminent attack, and the law was developed largely in response to one-off violent encounters, usually between males. "It became clear in reviewing and reflecting on the abuse suffered by victims of family violence who kill their abusers that, in many cases, the final acts of homicide were acts of desperation," president of the Law Commission Sir Grant Hammond said. Justice Minister Amy Adams will now consider the commission's recommendations, released today in a report on reforming the criminal law in relation to homicide, after last year asking the commission to investigate whether the law could be improved. In less than 5 per cent of all homicides in New Zealand a family violence victim kills their abuser. New Zealand currently has no specific legislation to deal with such cases. One of the most high profile cases in New Zealand was that of Christchurch woman Gay Oakes, who unsuccessfully used Battered Woman Syndrome as a defence after she killed her husband in 1993. She drugged Douglas Stuart Gardner until he overdosed and buried him in the backyard, later telling a court he had abused her for years. The commission recommended judges, lawyers and police receive education so that they have an improved understanding of the unique features of family violence. It has found that myths and misconceptions about family violence continue to persist in the criminal justice system, including the belief that a person can put an end to violence simply by leaving an abuser. "There is often no reasonable prospect of leaving a violent relationship. Addressing this and other misconceptions through education is central to improving the legal response to victims of family violence who kill their abusers," said Dr Wayne Mapp, lead commissioner. The commission looked closely at partial defences, which reduced murder to manslaughter when a killing was excusable, but not wholly justified. Its terms of reference included the consideration of whether a partial defence for victims of family violence who are charged with murder is justified. There are no partial defences available to domestic violence victims since the Government removed the provocation defence in 2009. Another partial defence that has been used overseas is "excessive self-defence". A third category of such defences focuses on a defendant's capacity, and whether their mental state means they should be judged by a lower standard than the ordinary person. The commission said a problem with such a defence was that they entrench misleading stereotypes of family violence victims, and the Sentencing Act 2002 already provides scope to take into account diminished intellectual capacity. Overall, the Law Commission concluded that a new partial defence was not required, and mitigating factors like family violence history are better dealt with at sentencing. "We consider the case is not made out for such an approach and that any reform in this area would carry an unacceptable risk of unintended consequences," the report states. • Amendments to the Sentencing Act 2002 to ensure a history of family violence is consistently taken into account as a mitigating factor in sentencing. • Amending the Evidence Act 2006 to identify the kind of evidence of family violence that could be relevant to claims of self-defence. • That the Ministry of Justice considers the application of the three strikes legislation to victims of family violence who commit homicide. Under the three strikes provisions a court is required to impose a life sentence if a person is convicted of murder as a second or third strike offence, or if a person is convicted of manslaughter as a third strike offence. The commission said the three strikes provisions might disproportionately disadvantage victims of family violence who kill their abusers. "We identified three cases which, if they had been caught by the three strikes provisions, would have resulted in very different, and more punitive, sentencing outcomes under those provisions," the report stated. 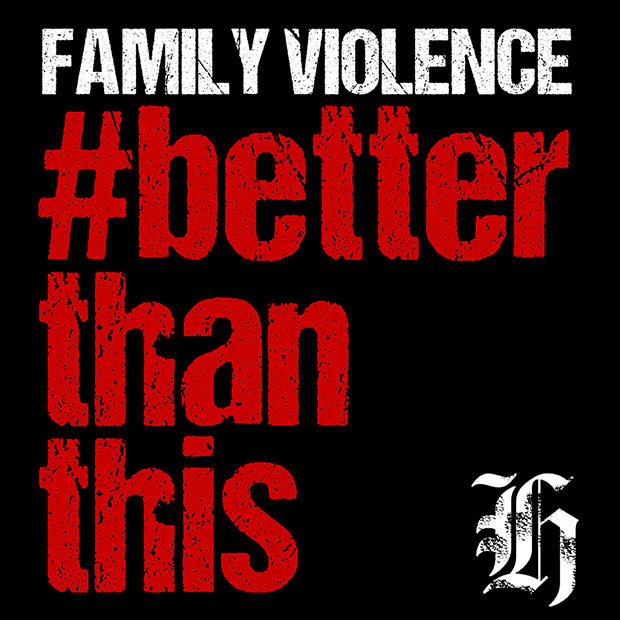 New Zealand has the highest reported rate of family violence in the developed world, and half of all homicides here occur within families. New Zealand has the worst rate of family violence in the developed world. One in three women will be subjected to physical or sexual violence from a partner at some point in their lives. Take a stand. Change your social media profile picture to demand that we are better than this. Right-click on this image below (or press and hold on your mobile device) to save, then upload to your social profiles. Or you can download the image here.